This the wise time to order and plan your pool. We have factory trained crews working now. 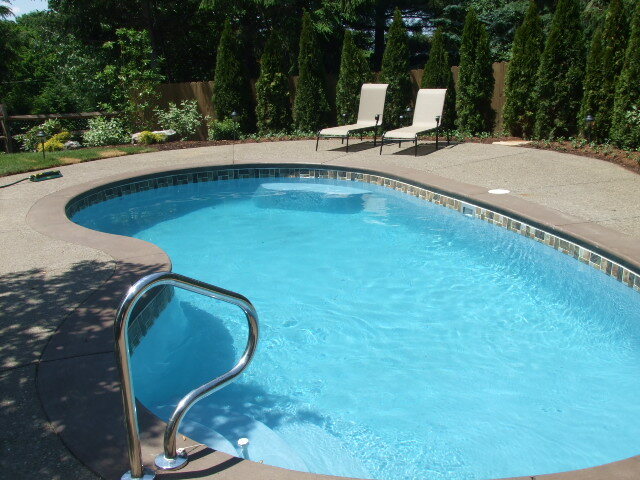 So call and order your inground pool now! Pay NO interest for 1 year*. Sign Now, Swim Soon. This Freeport, Nassau or Bermuda pool includes normal installation and excavation in the Pittsburgh area with a 23 piece starter package $28,878 or $234 per month*. Your Choice of Free LED Light, solar and winter cover, or FREE salt system. *High Efficiency Natural Gas Pool Heater. *Normal Gas Line Hook up by a registered, licensed and insured Plumber. *Upgrade to an Energy Star Pump. *Your choice of a time released auto chlorinator or a pool safety cover. *Classes are for the first season. Installation and normal local delivery payments based on a 10 mile radius of our Allison Park, Bethel Park, Cranberry Township and Jeannette locations. Additional mobilization fees will apply for areas beyond 10 miles. Sample Photo of a pool. * Pay NO interest for 1 year on the first $15,000, on approved credit.This is a sample photo to show the shape . Hurry this offer may end soon. * on approved credit.